You’re almost to the finish line! Your new home is built…you’re almost ready to move in! But wait…there are a few final hurdles to cross when it comes to inspecting your home. Here are a few important things to know and make sure your home is just where it should be so it is as beautiful structurally as it appears to be. Final inspections are performed five days or a few hours before closing the sale. The main purpose of a final home inspection is to make sure the home is in as good of condition as agreed upon, that repairs were made and no changes have been made that have not been included in the final negotiations. • Check every light fixture to see if it is functioning by turning it on and off. • Check for possible water leaks by opening faucets and looking under sinks. • Make sure appliances are functioning properly by turning them on and off. • Inspect door hinges by opening and closing doors and windows. • Flush toilets to ensure that they are not clogged. • Check walls, floors and ceilings for cracks or leaks. • Turn on exhaust fans and garbage disposal. 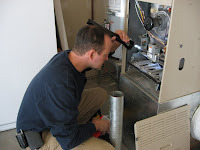 • Turn on air conditioning and heating to test if they are functioning properly. • Debris should be removed from the house. 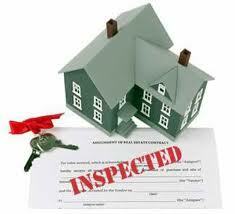 If your homebuilder only gives your new home one inspection, they are doing something drastically wrong! Different experts in different fields need to examine the various areas of your new home. The tasks that need to be completed to satisfy the terms of the contract are frequently referred to as “the punch list.” They are usually a result of the final phases of construction as people walk through the site notice deficiencies that need to be resolved. Make sure you get your contractor to complete your punch list before you close. Some builders make promises of completing things and then disappear after the contract is complete. There are many decisions to make as the final stages of the building process of your new home come to a close. Your home inspection is a crucial component to make sure your home is properly constructed. Make sure you keep the important elements in mind so nothing is overlooked during this last phase of the building process.